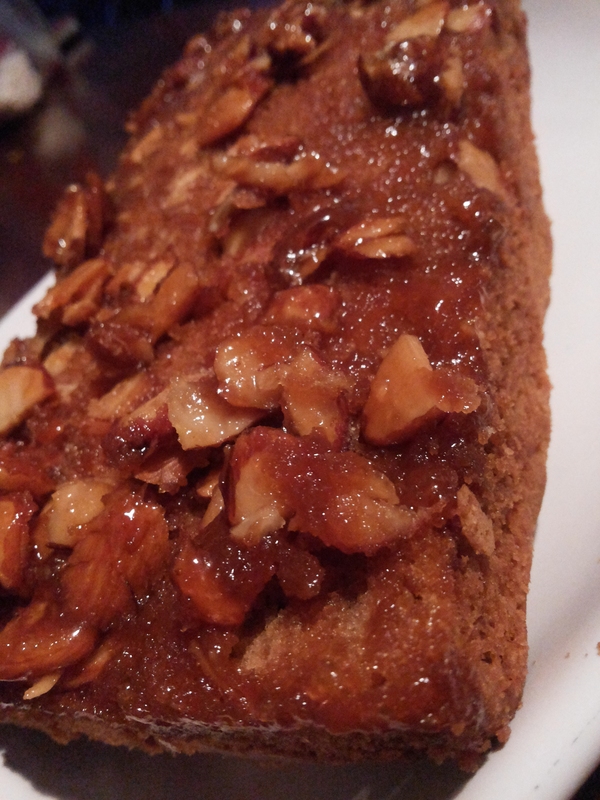 Honey Almond Upside Down Cake. • 1 cup light brown sugar. 1. Preheat the oven . 2. Pour 3 tablespoons of melted butter into a bread loaf pan. 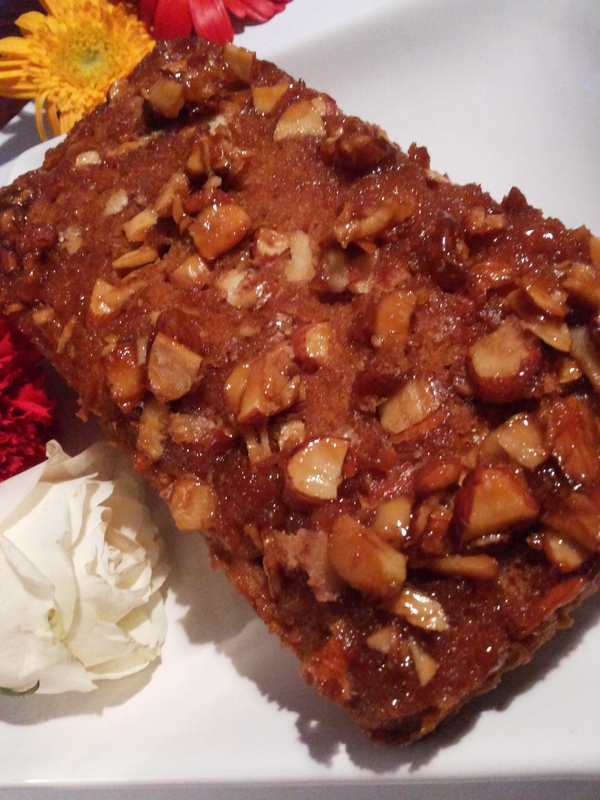 Sprinkle with 1/4 cup of brown sugar, drizzle with 2 tablespoons of honey and sprinkle with toasted almonds. 3. In a large bowl whisk the egg, remaining brown sugar . Add the rest of the melted butter and honey. Gradually mix in buttermilk. 4. In a separate bowl, combine the flour, baking powder, baking soda and salt. Incorporate the dry ingredients into the wet ingredients. Mix till smooth. 5. Pour the mixture into the prepared baking pan and bake for 30-40 minutes at 170 degrees. Let the cake cool for about 5 minutes and invert it onto a plate.